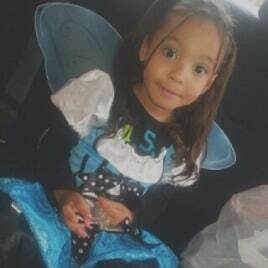 It is with my deepest condolences that I write to inform you that my friends, Anthony Pearson and Vanessa Mendoza, have suffered the loss of their daughter, Sirae.Sirae battled Sickle Cell anemia, and finally succumbed to her illnesses on Tuesday evening, November 28, 2017; she was only 6 years old.Sirae was a beautiful, fun, and happy little girl with an amazing spirit. Sirae had the most amazing soul. She was perfect in every way and we cannot begin to fathom the hole she has left in our lives. No parent should have to suffer the loss of their child and should be given the opportunity to grieve in peace, without having to focus on the financial burdens that come along with such a loss. Healgrief has a memorial to share with you. https://healgrief.org/sirae-pearson-2/ We invite you to express condolences, share special memories and photos and light virtual candles to honor and celebrate the life of our loved one. We also invite you to share this with others who may want to be notified as well. You may do so by sharing the link or by clicking the “Share this Memorial” button from within the memorial itself.